5 evenings to practice the beautiful art of life modelling, we will have a female model posing for us. Life modelling sculpture is a wonderfully absorbing and intense experience. Using a process-based technique you will learn to take measurements from a model and learn to read anatomy plates. Through controlled observation you will explore elements of the human anatomy to gain a deeper understanding of the underlying construction of the human form. 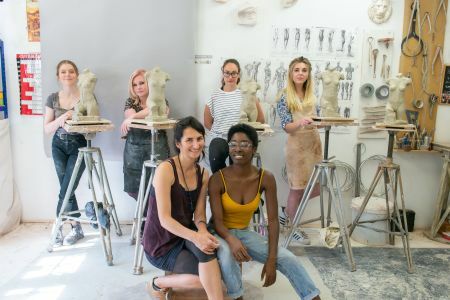 You will consider both aesthetic and systematic approaches to modelling and manipulating with clay as you strengthen your skills in accuracy and proportion. You will have created your own carefully observed and lifelike portrait sculpture from clay. 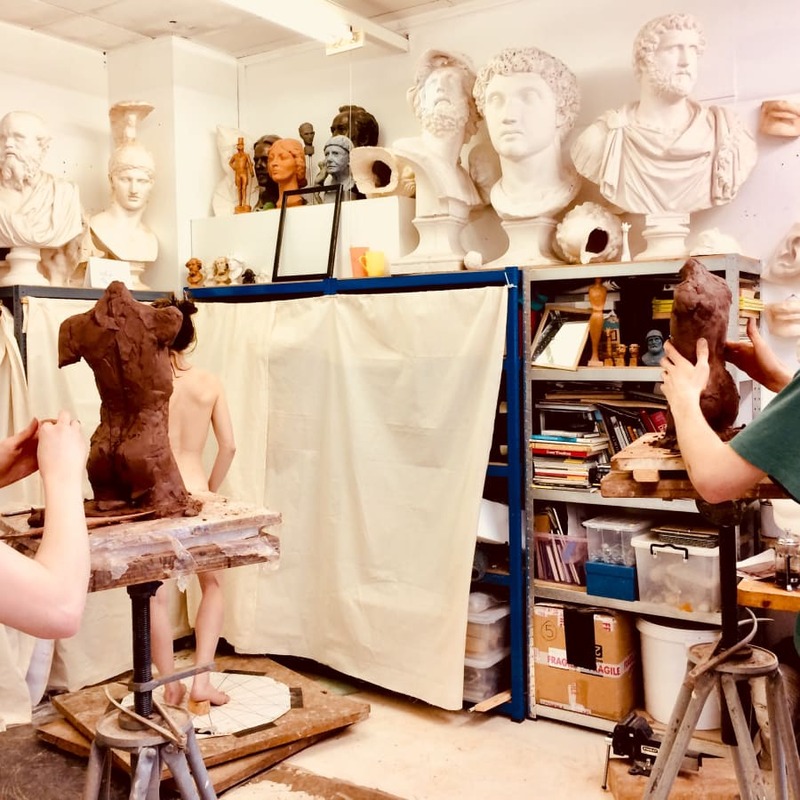 You will have developed your anatomical knowledge and gained confidence and in applying your observational skills to the processes of portrait sculpture. Anyone wishing to improve their observational skills, whether you are working professionally in a related field; or, looking to enhance your portfolio to pursue studies or a career within sculpture, special effects or the performing arts. Tools, tea-coffee and biscuits are provided just bring yourself! We will have an hour lunch break. The finish product will be in clay, you might wish to have it moulded and cast or just take pictures! 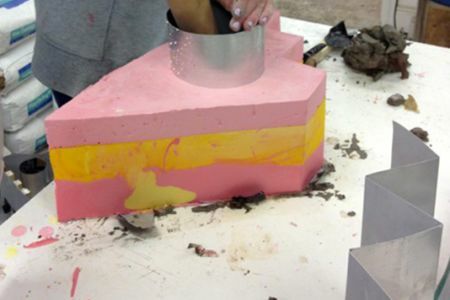 If you opt for moulding and casting The studio can offer a further service. 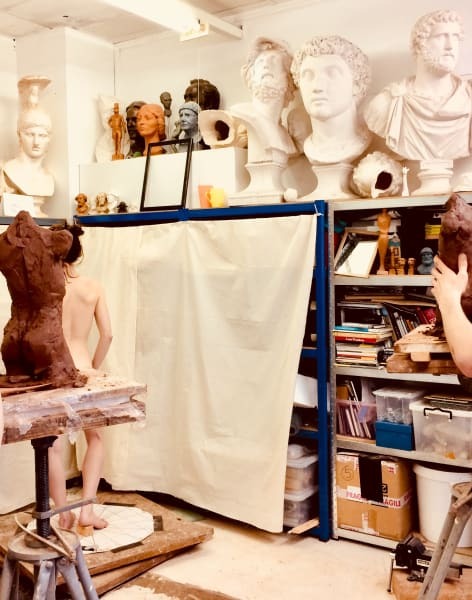 The classes are taught by Livia Turco a classical figurative Italian sculptor, trained in the classical Arts since the age of 14, her studies based on the human anatomy, history of arts, life drawing and Modelling. Moved in 2000 to London where she furthered her studies under the tutelage of Allan Sly at Wimbledon School of Arts, now University of the Arts London. ​ Since graduation she has been working for Madame Tussauds to the present time, as body and head portrait sculptor, where the knowledge of anatomy and great observation skills are required. She also tutor the Madame Tussauds junior sculptors in her atelier. She has also worked for different artist and various film productions. ​ In 2015, started working along side Allan Sly at University of the Arts London teaching at the Technical Arts and Special Effects course. Since the Academic year 2016-17 she is leading the sculpture projects at the Technical Arts and Special Effect course. Here Livia developed a great passion for teaching and opened her atelier to students, to share her passion. Bring an apron to keep your clothes dust free.